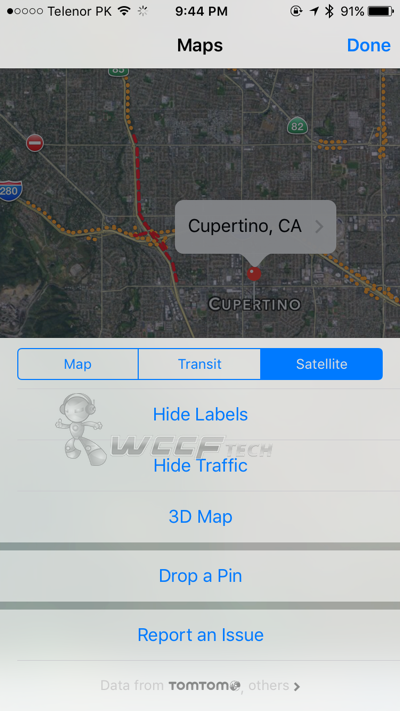 Here’s how you can access Apple Maps’ hidden Google Earth like feature on iOS and Mac. 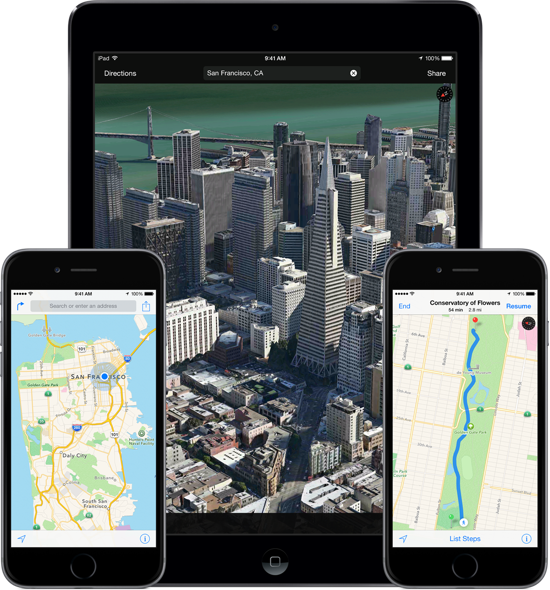 Love it or hate it, Apple Maps is here to stay. 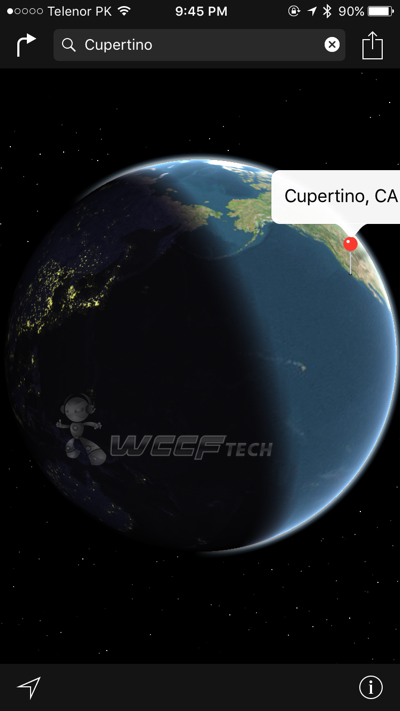 And having made its way to the Mac with the release of OS X Mavericks, it’s a clear sign that the Cupertino giant isn’t caving in to the pressure of Google Maps. Granted, Apple’s offering is a rather weak one when compared to Google’s, but since Apple Maps lives at a stock level, hence it ties in nicely with the rest of the OS, be it on desktop or mobile. Interestingly, we choose to ignore Apple Maps because it’s somewhat broken in a lot of places. And while Apple is working day and night to fix its wrongdoings when it comes to Maps, today we’re bringing to our readers a very, very interesting feature which we’re pretty sure a lot of you didn’t know about. Did you know zooming all the way out of a map brings up a beautiful Earth view? Complete with a real-time representation of which parts of our planet are in daylight or drowned in nighttime? We’ll show you how you can access it on both the Mac and of course, iOS. 1. Launch the stock Maps app from your home screen. 3. Now pinch to zoom out of the map and keep on going till you see the Earth in all its glory. 1. Launch the Maps app. 2. Click on ‘Satellite’ at the top right hand corner. 3. Zoom out all the way till you get to the Earth view. While this feature has been around since Apple Maps made its big debut on iOS 6 and OS X Mavericks, it’s fascinating to see how much attention to detail Apple has thrown into the mix to enhance the overall user experience. 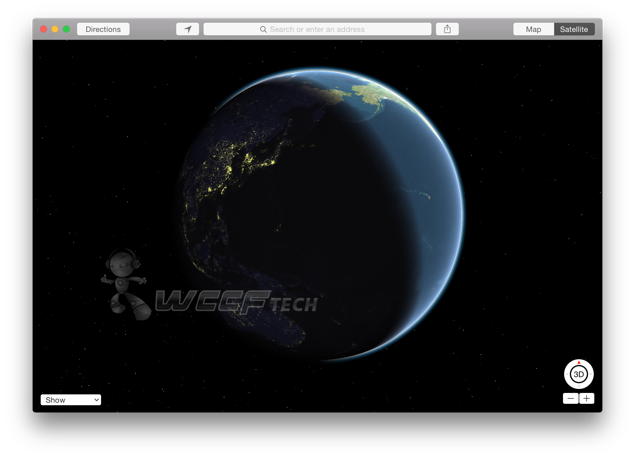 We’re pretty certain that a lot of users already know of this feature already, but for those who don’t, there you have it, and you don’t need look at Google Earth just to glance at such a thing as Apple Maps has you well covered in that regard. There are a lot of small details like these littered all across iOS and OS X and we’ll reveal everything as time passes by. Found this tidbit useful? Then don’t forget to drop us a comment below.